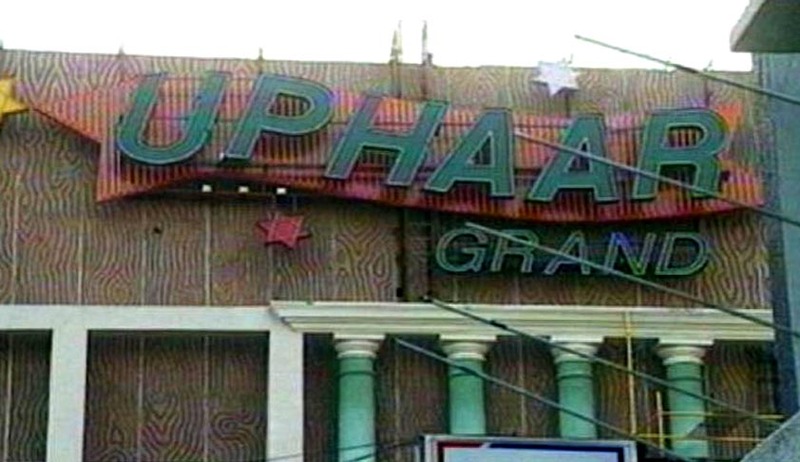 In a 2:1 verdict, the Supreme Court today sentenced Uphaar cinema co-owner 69-year-old Gopal Ansal to one year imprisonment in the 1997 Uphaar cinema tragedy which killed 59 cine-goers while it kept intact the earlier order that his brother Sushil Ansal’s punishment will remain the five months jail term which he already underwent. While Justices Ranjan Gogoi and Kurian Joseph agreed to partially review the order, Justice Adarsh Goel was against any review of the earlier order. Gopal Ansal who has been asked to surrender within four weeks will have to undergo the remaining term of around six months. He had already spent close to six months in jail. Sushil Ansal will however have to pay a fine of Rs 30 crore. While refusing to send Sushil Ansal to jail, the court considered his advanced age. He is 76 years old. Sending Gopal Ansal to jail the bench said the fine of Rs 30 crore was not sufficient in view of the irreparable loss of lives. It said the gravity of the offence and illegal means used by him to make gains called for an enhancement of the punishment. The verdict came on petitions filed by Association of Victims of Uphaar Tragedy (AVUT) and CBI seeking a review of the decision to let off the theatre owners Gopal and Sushil Ansal, after considering the period they had already undergone in the prison as their sentence and imposing a fine of Rs 30 crore. SC on December 14, 2016 reserved its verdict after hearing two-hour-long arguments, advanced by counsel for CBI, AVUT and Ansal brothers. Senior advocate Harish Salve, appearing for CBI, said the fines are imposed additionally and they cannot substitute "substantive" jail term awarded to convicts in a case. "Fine in lieu of conviction is alien in criminal jurisprudence," he had argued, noting that while hearing the appeals against the high court verdict, the apex court had ordered "substantive conviction" by saying that the fine imposed can "only be additional". "Enhancement of sentence, subject to fine, is erroneous in law," he had said. In the review petition filed on November 6, last year, the CBI and the association have said that the sentence awarded to them was inadequate and against the principles of natural justice. CBI is of the view that the judges, while letting off the accused with mere fine, did not consider several aspects dealt with by the bench which had convicted the Ansals. Said the plea filed by AVUT: “The Petitioner is seeking the review of the impugned operative order dated 19.08.2015 and the reasons in the judgment dated 22.09.2015 on the following amongst other grounds. “The sentences imposed on the convicts, Sushil Ansal and Gopal Ansal, have been substituted with fine without assigning any reason or basis thereof. The sentences of the said convicts have been reduced to the period undergone without taking into account the gravity of their offence. The orders under review run contrary to the well established jurisprudence of the principles of sentencing as followed so meticulously by this Hon’ble Court”, it said. “The orders under review amount to grave miscarriage of justice to the victims who have suffered loss of lives of their near and dear ones because of the gross violations of safety rules by the convicted Ansal brothers. The Ansal brothers were responsible for the functioning of the Uphaar Cinema where the tragedy occurred. The Trial Court, the High Court and this Hon’ble Court have concurrently held the convicts guily of this most grievous of crimes. However, after the end of a long 18 years of legal battle which has seen the convicts use their influence to delay and protract trial in the case on numerous occassions, the said convict have been let off even after their conviction being uphel and infact their sentence enhanced. The sentence imposed on them has been substituted with a fine of Rs. 30 Crores each”, it said. As many as 59 people died and 100 were injured in the fire during the screening of Hindi blockbuster Border on the evening of June 13, 1997. The fire started in the parking lot and then engulfed the building in the busy Green Park area. CBI says the court had itself brought out the negligence on the part of Ansals saying most people died in the ensuing stampede or were asphyxiated as the escape routes were blocked by illegally fixed chairs. The trial court had sentenced the duo to two years’ rigorous imprisonment in November 2007. But in December 2008, the Delhi High Court reduced their sentence to one year. While Sushil Ansal spent 5 months in jail, Gopal remained in jail for four months and 32 days.